Following in the hoofsteps of his sire Big Brown, the Bob Baffert trained Dortmund will head to Louisville on the first Saturday of May undefeated and one of the betting favorites for the Kentucky Derby (G1). The colt won Saturday’s $1 million Santa Anita Derby (G1) by 4 1/4 lengths under jockey Martin Garcia, his sixth win in six career starts. Big Brown won his first three races including the Florida Derby (G1) and then won the 2008 Run for the Roses and Preakness Stakes. Dortmund has now won four stakes in a row, and is currently second in the Road to the Derby points standings with 170. International Star leads with 171. The colt is currently the second choice in early Kentucky Derby wagering at 15-2, with his stablemate America Pharoah the betting favorite at 9-2. Those odds could change by next Saturday as American Pharoah makes his final prep in the $1 million Arkansas Derby (G1) at Oaklawn Park. American Pharoah has spent most of the winter and spring as the betting favorite for the Kentucky Derby at Bodog. Carpe Diem locked in a starting spot in the Kentucky Derby with his victory on Saturday in the Toyota Blue Grass (G1) at Keeneland. Trained by Todd Pletcher, the colt drew away to win by three lengths, returning his backers $2.80. The colt won the Tampa Bay Derby (G2) in his three-year-old debut and is the co-fourth choice in early Derby betting at 14-1 at Bodog. Frosted bounced back from losses in the Remsen (G2), Holy Bull (G2) and Fountain of Youth (G2) to post his first stakes victory in the $1 million Wood Memorial (G1) at Aqueduct on Saturday. The 100 points stamped his ticket to Louisville and his 20-1 Derby odds figure to shrink this week after a smart looking win. The Kiaran McLaughlin trainee won by two lengths over longshot Tencendur and paid $6.40 to win under new jockey Joel Rosario. The Arkansas Derby on Saturday is the final Derby points race that offers 100-40-20-10 points to the top four finishers. The $250,000 Lexington Stakes (G3) is worth 10-4-2-1 points to the top four, and then the road leads directly to Louisville. Michael’s Triple Crown Package includes his full card reports for the three jewels of this year’s Triple Crown! Included in this package is his full card report for Kentucky Derby Day, Preakness Day and Belmont Stakes Day. 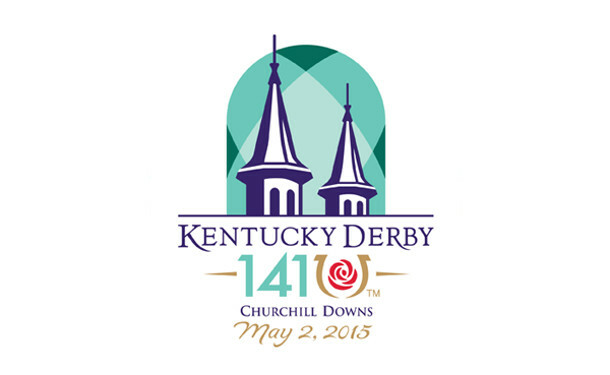 This package also includes his Kentucky Oaks Day Report! Four reports for only $49.95!